Middlesbrough dominated the Fantasy Premier League bonus points after clinching victory for the first time in eight attempts with Saturday's win over AFC Bournemouth. Gaston Ramirez (£5.3m) was awarded three extra points, scoring 34 in the Bonus Points System. The Uruguayan fired the opener in the 2-0 victory, supplementing this with three successful tackles and seven recoveries. Stewart Downing (£5.2m) picked up two bonus points, with 31 in the BPS. The winger netted his side's second goal and registered three successful tackles, five recoveries and four clearances, blocks and interceptions (CBI) to keep the Cherries at bay. Full-backs George Friend (£4.4m) and Antonio Barragan (£4.5m) received a single bonus point apiece, scoring 27 in the BPS. Friend registered eight CBI, in addition to four recoveries and three successful tackles. He also completed 77% of 31 attempted passes. 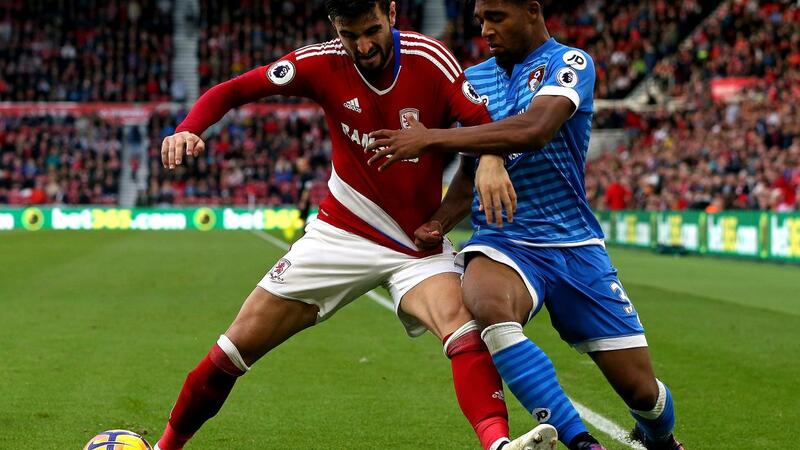 Barragan managed 10 CBI and eight recoveries as Aitor Karanka’s side earned a second successive clean sheet. Goalscorers Downing and Ramirez finished first and third in the ICT Index with scores of 11.9 and 8.8 respectively. Downing netted with one of two efforts and produced eight crosses from the left wing, though only one was successful. Ramirez recorded three attempts on goal, with two arriving from inside the box. AFC Bournemouth’s Jack Wilshere (£5.9m) claimed second spot thanks to a haul of 9.8 in the Index. The on-loan midfielder created six scoring chances for the Cherries and completed 31 passes in the final third – more than any other player in the Riverside Stadium encounter. After deploying a 4-5-1 formation away to Arsenal last weekend, Karanka reverted to his preferred 4-2-3-1 set-up. This allowed Downing to return to the starting XI, with Ramirez – utilised on the left flank against the Gunners – shifted into a central support role behind Alvaro Negredo (£6.4m). Having collected a fifth yellow card of the season, Ramirez's progress is now stalled by a single-match suspension for the Gameweek 11 encounter with Manchester City. Adama Traore (£4.8m) was named in the first XI for the second successive Premier League, stationed on the right flank. He was somewhat starved of service on Saturday, receiving only nine passes in the final third. He did, however, complete four of six attempted dribbles. In defence, Calum Chambers (£4.4m), returned in place of the injured Daniel Ayala (£5.0m). Middlesbrough's recent resilience is now set to be tested, as they face Manchester City, Chelsea and Leicester City over the next three Gameweeks. Saturday's 2-0 scoreline ended AFC Bournemouth’s four-match unbeaten run. 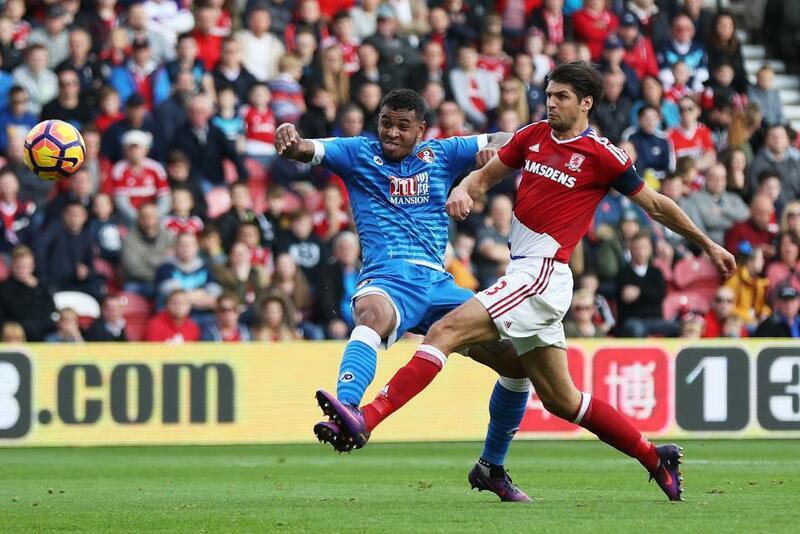 Eddie Howe's men produced 18 attempts to the hosts’ 11 but lacked a cutting edge and managed only two on target. They have now failed to score in each of their last two fixtures, which coincides with the absence of Junior Stanislas (£5.6m) with a calf injury. The right winger had produced three goals and as many assists in his previous three Premier League outings.